Bellingham is a lush, green, rapidly growing and typically Pacific Northwest city about half way between Seattle and Vancouver. Its legacy, still in force to a degree, is as a thriving lumber and paper-mill town and seaport for outbound forest products. Today, the beautiful setting, climate, and relatively low costs for a West Coast location are bringing many migrants to the area. The economy is making the transition from cyclical basic industries to more of a steady new-economy flavor. Some work locally, some make the lengthy commute (likely in carpools) to Seattle and especially its northern suburbs and some telecommute or run small businesses serving clients in the larger cities. There is a strong and growing base of retirees. The city is also an important passenger gateway to Alaska and the San Juan Islands to the west. Downtown is clean and functional, while the secondary Fairhaven downtown district a few miles south at the ferry departure is a nicely preserved Victorian historic district. 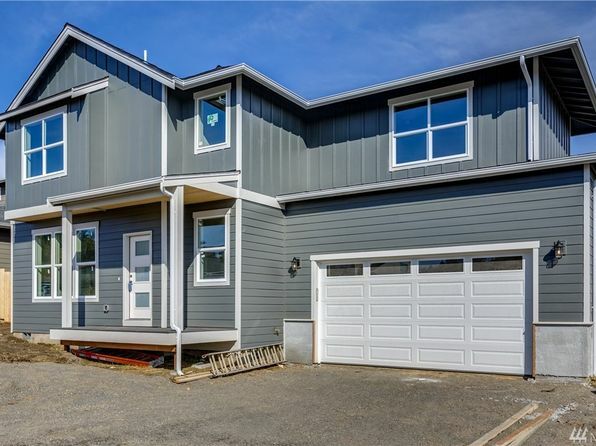 Lush wooded residential areas farther south along “Chuckanut Drive” have great views of the San Juan Islands to the west, while attractive new “Northwest Craftsman” style homes are springing up in well-designed suburbs east of town. The Western Washington University brings a college town element. 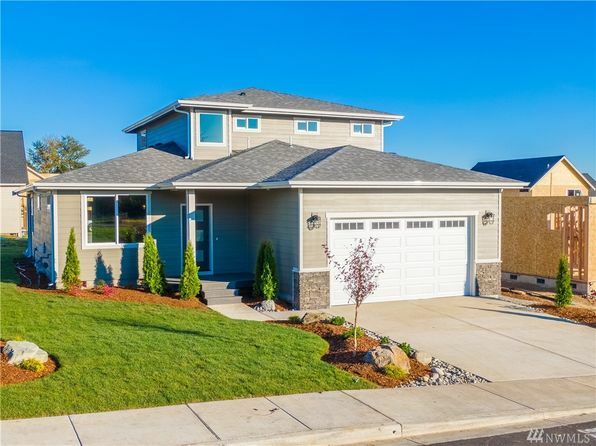 Some areas, notably north of the downtown, have a more working-class flavor, but the Lynden area, further north almost at the Canadian border, is growing fast. Bigger city amenities are available to the south in Seattle and to the north in Vancouver, British Columbia. Home prices are high on a national scale but are moderate for the state and especially the coast. While summers are very pleasant, other periods are among the cloudiest and rainiest in the United States. For those tolerant of these negatives and looking for a historic small town in a beautiful setting, Bellingham continues to be a good option. Bellingham sits in a narrow and mainly level coastal plain along the Puget Sound. To the east and north the land rises sharply to low plateaus with mixed coniferous forests and cleared land. To the south the area is hilly with dense coniferous forests. The San Juan Islands rise dramatically from the Puget Sound to the west, and the 11,000-foot Mount Baker punctuates the sky 25 miles east. The climate is decidedly marine. The orientation of the city towards the Sound and the hills and mountains to the east allow cool, moist marine air to dominate. The pleasantly cool summers are the sunniest, driest time of year albeit with some clouds and rain. The rest of the year is cloudy more often than not, with periods of mostly light rain. The good news: The rains are seldom torrential and it seldom turns to snow. Winters are damp and chilly but not cold; unlike most areas at this latitude, there are no days below zero and days below 20 degrees are rare. First freeze is early October, last is May 1. The median home price in Ferndale is $384,600. Browse Homes in this Range. 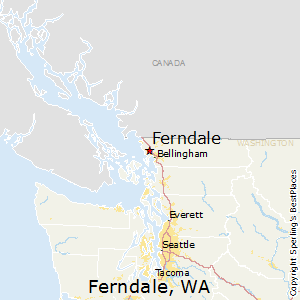 Compare Ferndale, Washington to any other place in the USA.